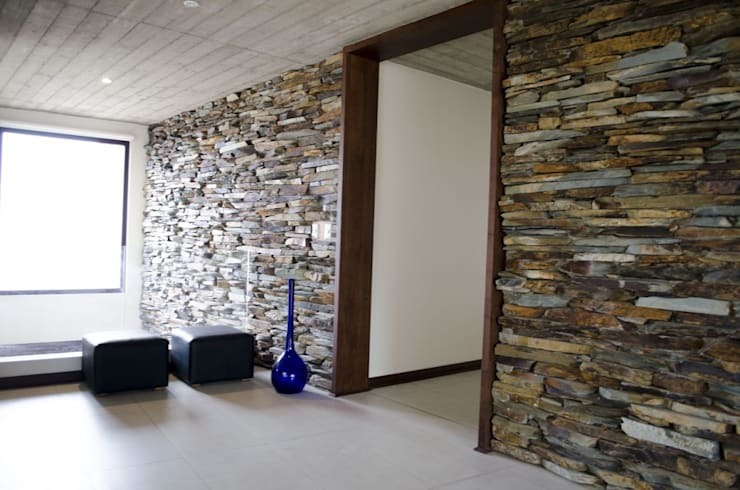 Stone walls are considered to be a wonderful addition to your home. This interior architecture option will give any house a personal feel, with its impact being more exciting and impressive than normal painted walls. 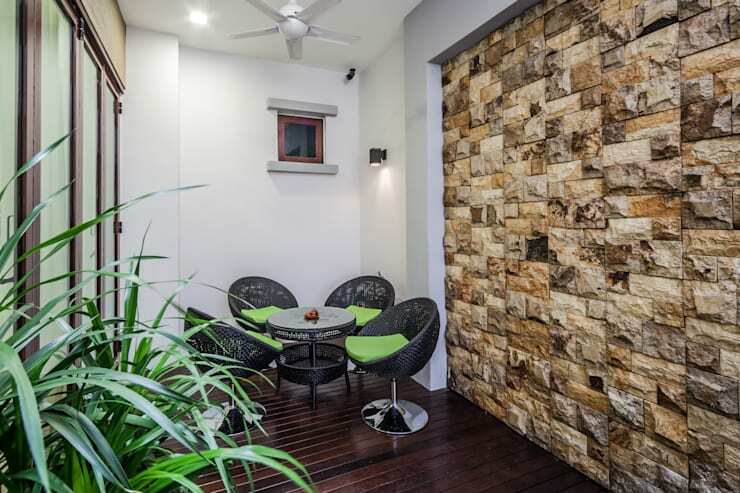 These days, we see stone everywhere in architecture and interior design, and it is a material that can be used with ease and success in modern, rustic or eclectic settings. 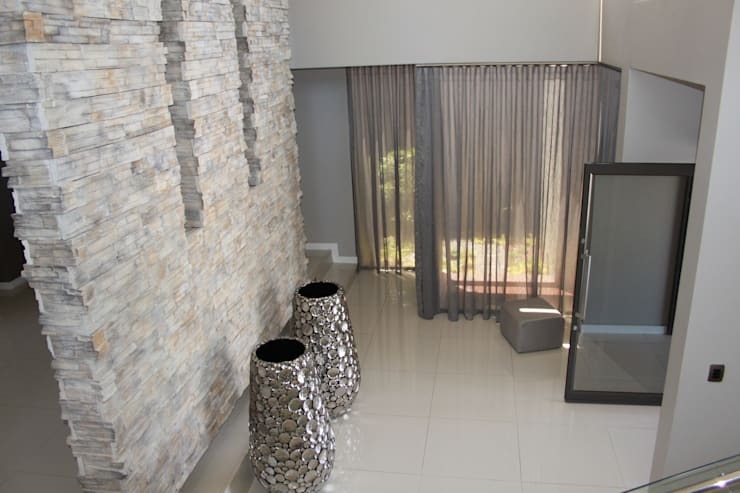 This modern entrance hall makes a great impression with a combination of neutral and metallic colours, with the stone wall, grey curtains, and a touch of silver in the accessories. This room is designed to be a comfortable place to rest and relax. The rich, neutral materials ensures a balance between comfort and elegance, of which the stone wall is a vital constituent. 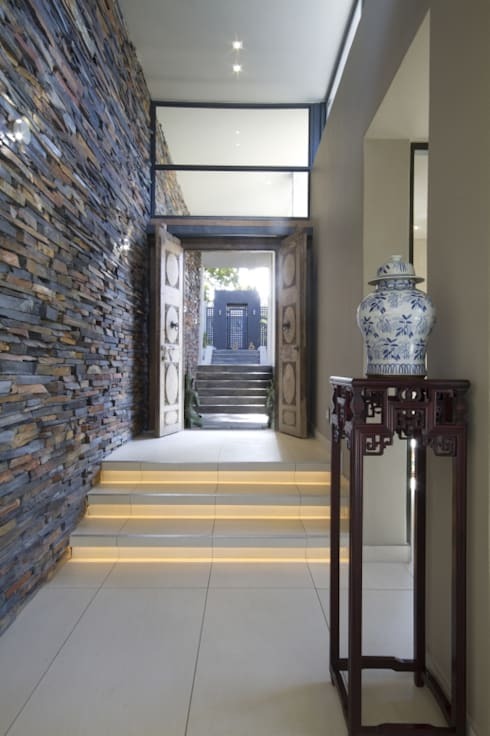 Tablet stone is of a thin variety, and is most often used in walls and decorative feature. The variation in line and tone create a dynamic appearance that is sure to make your home more interesting. 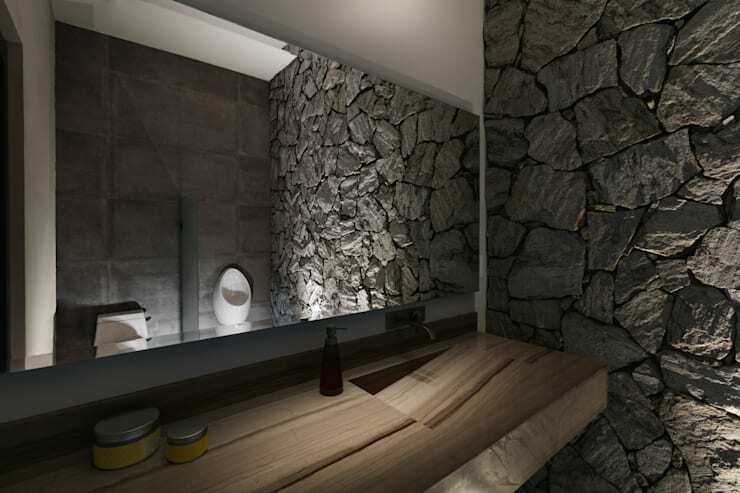 In this bathroom, we can see a dark wall of medium-sized and compact stone, which creates a romantic and mysterious atmosphere imitating a cave. 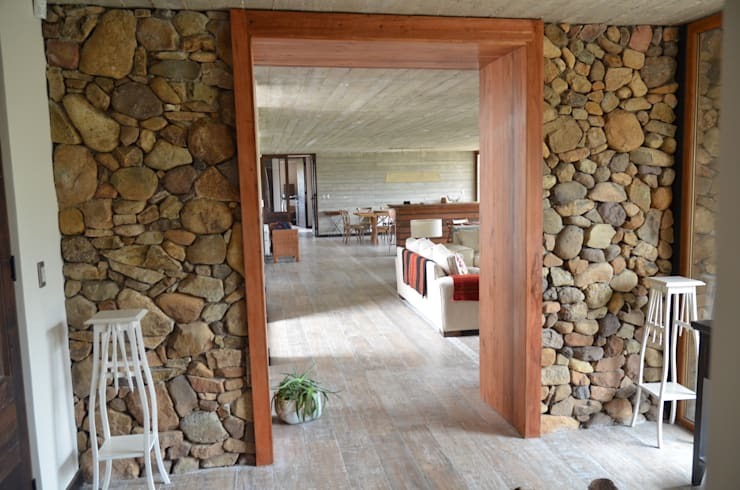 This stone wall is wide and so a wooden doorway was inserted to visually divide it and to create a contrast in texture. 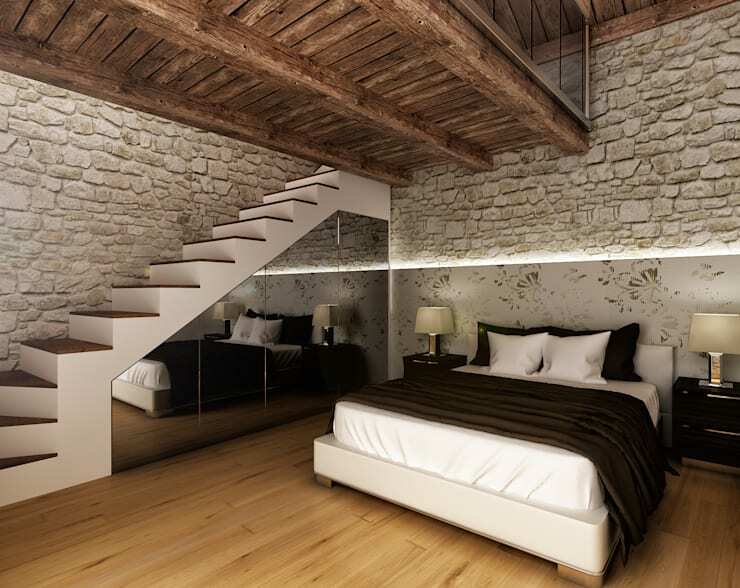 In this bedroom we can see a more decorative arrangement of stone on the walls surrounding the bed. Here, the wall had been further enhance with hidden lighting to divide and illuminate the space. 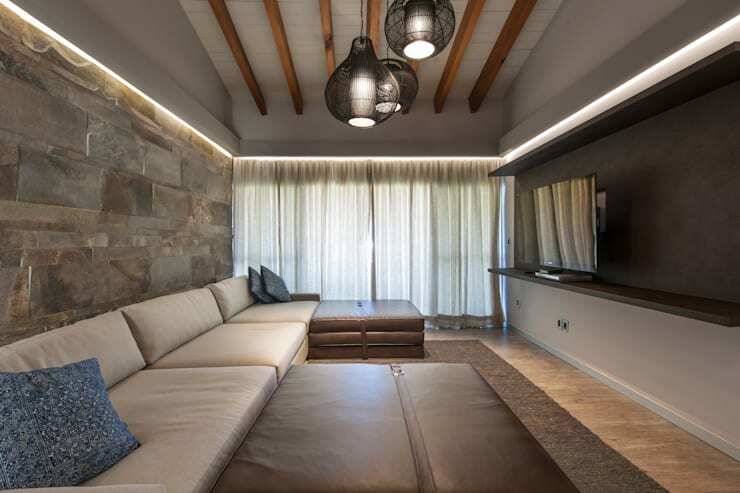 In addition to the stone walls, the simplicity of the furnishings and the rustic element of wood all combine very well to create a relaxing and romantic atmosphere. Here again we see the use of tablet stone, but with more colour variance and natural light to accentuate it. The warm use of wood creates a beautiful contrast to the cool grey stone. This entrance is the hallmark of the home, and continues outside the front door. You are sure to find few compositions that produce such a level of harmony as we see here. We conclude today's list with this elegant and classic tiled wall which adds elegance to a vacuum. 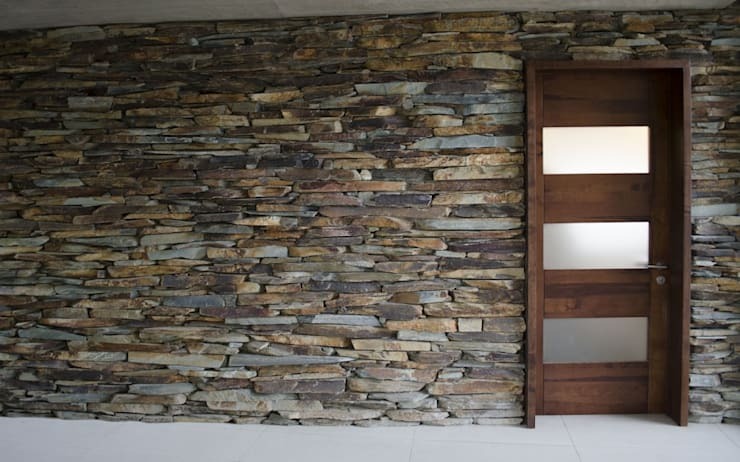 We hope that you found some inspiration for decorating your home with stone. Now, take a look at the: interior decorating mistakes we all make, but really shouldn't. Which of these stone wall models will suit your home?